Douglas and Coffee County have a robust selection of facilities available to rent for events and groups of all types and sizes. 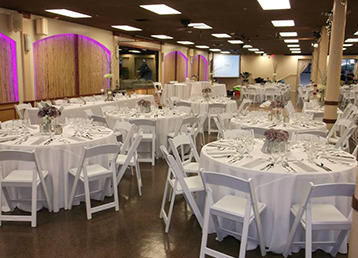 The Chamber manages a unique facility for special events, The Atrium Event Center. Small spaces are available for business meetings and luncheons. 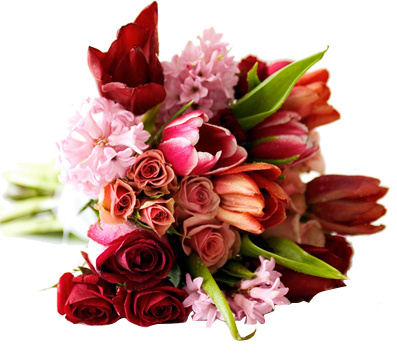 Larger space is available for large receptions, weddings, etc. The garden allows attendees to step out and enjoy a tropical garden or just a relaxing break in the courtyard. The 4,700 sq. 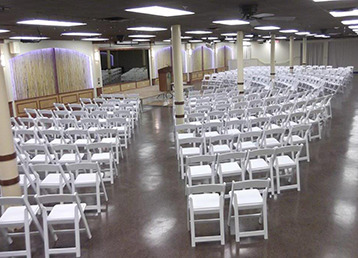 ft. Banquet Room accommodates up to 500 guests (standing) and seats up to 250. Parking for over 300 vehicles is available most nights and weekends. Valet parking can be accommodated.